Chevrolet Cruze buyers in the UK will now be able to spec out their bow tie-wearing compact sedan with a souped-up suspension, rear spoiler, and contrasting wheels – all right from the factory. That’s right folks, no dealer or aftermarket trickery here. 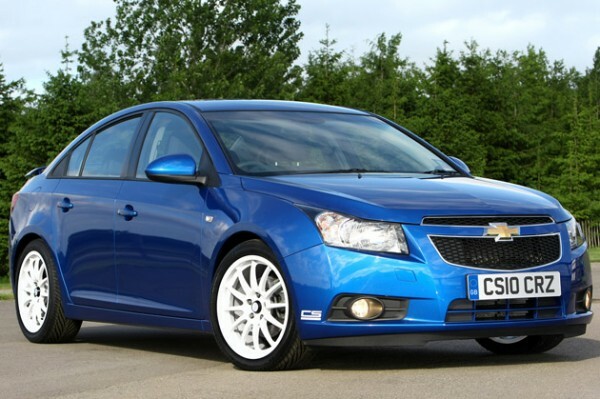 The mods give the Cruze a look that resembles the Silverline Cruze speeding through the British Touring Car Championship (BTCC). The package, dubbed the CS styling kit, includes multi spoke 18-inch wheels, which look right at home on the blue Cruze (pictured). The aggressive stance, courtesy of the reworked suspension, gives the Cruze that “prowling” look that’s so desired by many a car enthusiast. The CS kit will set you back £1,595, or $2,410 at current exchange rates – not an inconsiderable amount, given that the Cruze starts at around $15,000. The big question, however, is whether we’ll see the CS package make its way to North American shores. Since most don’t have a clue of what BTCC is on this side of the pond, it may not make sense for Chevy to bring it over. Nevertheless, we could see the bundle become a part of the Cruze RS trim level, which has been confirmed for U.S. availability. hello sir, i have plan to buy chevy cruze. i test drove it and i have booked black colour. now i would like to give some aggressive look for my car. i’m looking for spoilers,skirts and racing stickers. where should i go for it, b’coz i’m from tamilnadu i’dont have much knowledge about this things,so kindly show some right place to buy bodykits to my car.